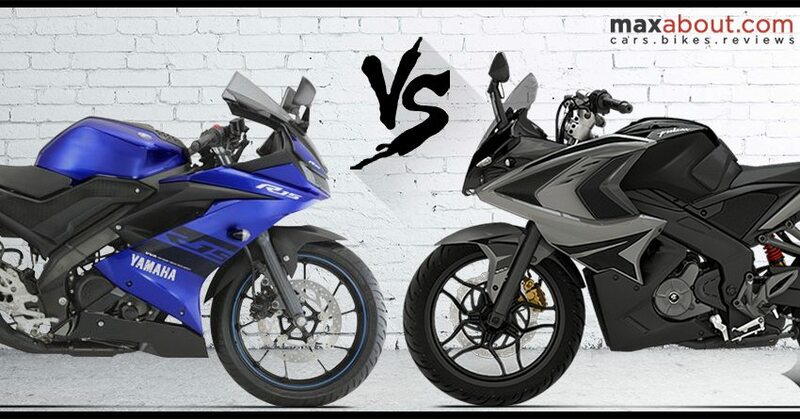 Yamaha R15 V3 vs Bajaj Pulsar RS200: Yamaha R15 Version 3.0 is available for INR 1.27 lakh (ex-showroom) in India. The motorcycle rivals none other than Bajaj Pulsar RS200 in terms of price as RS200 is also priced at INR 1.27 lakh for the non-ABS model. The single channel ABS model of RS200 is available for INR 1.39 lakh. Both these bikes are fully faired, thus resulting in even tighter competition than any other faired rivals of India. 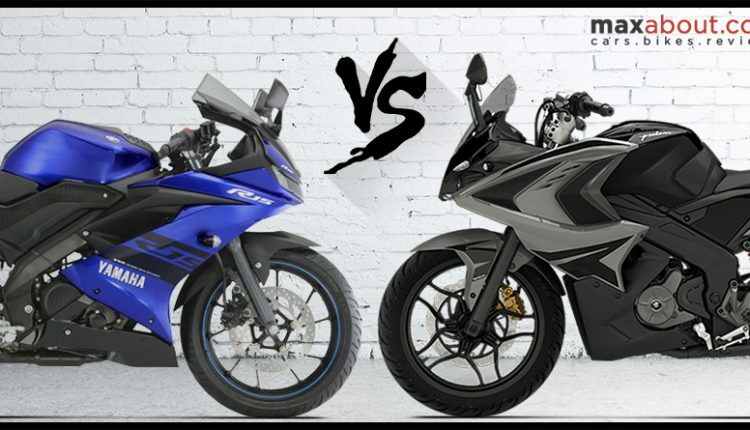 Yamaha R15 follows a different set of principles when compared to Bajaj Pulsar RS200. The former comes with a lightweight body and amazingly tuned engine while latter is good for more overall power but no emphasis on lightweight parts. 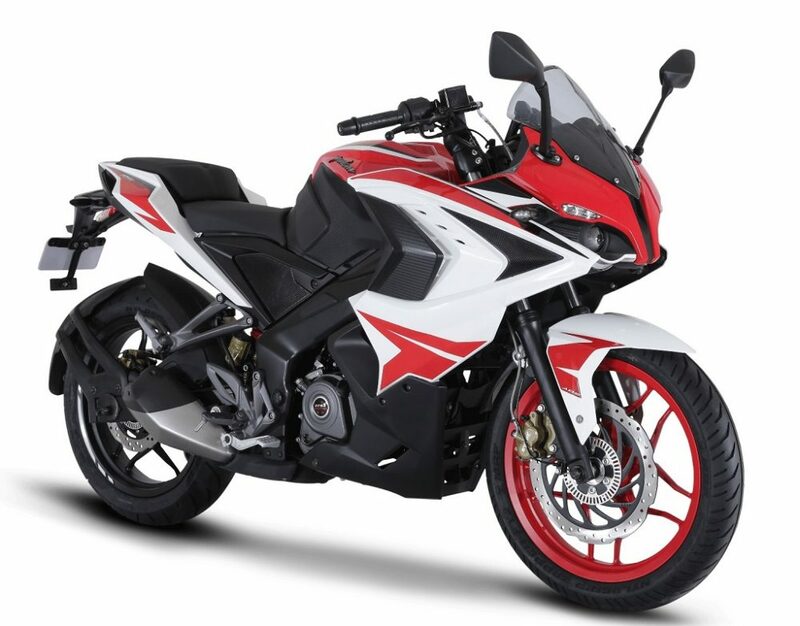 Pulsar RS200 is powered by a 199.5cc, fuel injected and a liquid cooled engine producing 24.2 BHP of power and 18.6 Nm of torque. 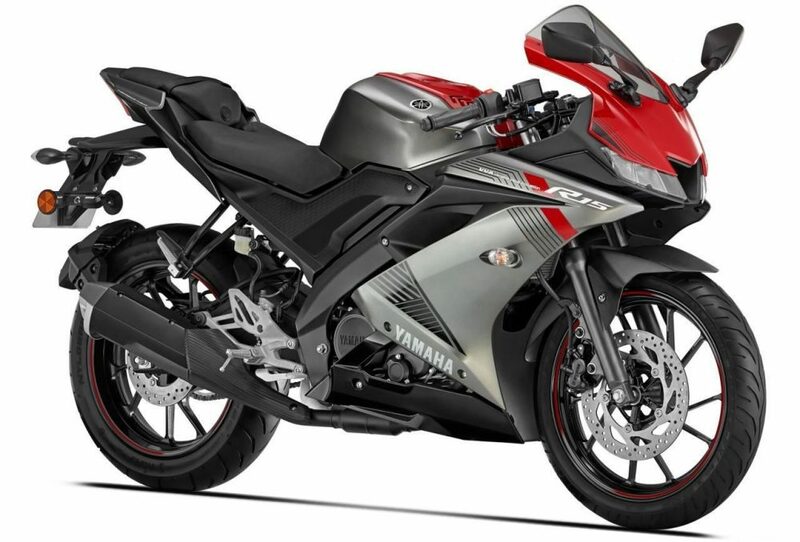 Yamaha R15 version 3.0, on the other hand, comes with a 155.1cc engine with VVA, producing 19.03 BHP and 15 Nm. The engine pulls just 139 kg in this case while RS200 weighs much higher at 164 kg. Comparing both bikes result in RS200 being 25 kg heavier than R15 V3. The compact wheelbase of R15 also results in sportier track specific handling, further complemented by its strict riding position and higher seat height. RS200 offers better city specific riding due to slightly relaxed riding position and further stays planted on highway rides due to more weight. Yamaha R15 V3 comes with LED lights while halogen projectors are offered with Pulsar RS200. The sportbike from Bajaj comes with bigger brakes but that again becomes a necessity due to more power and weight of the motorcycle. Front tyre size stays same on both bikes while rear on R15 is bigger in terms of width. Shades offered on R15 includes Thunder Grey and Racing Blue while RS200 can be bought in Graphite Black, Racing Red, and Racing Blue shade. 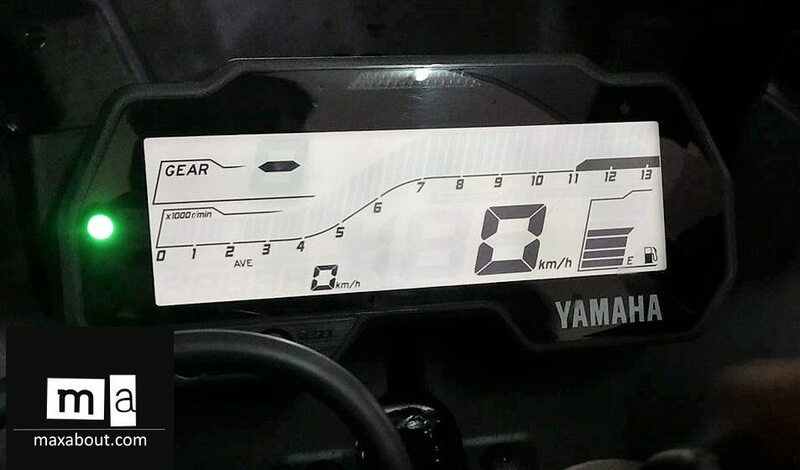 Those looking for an everyday ride can choose Pulsar RS200 while motorcycle fans who love track riding and corner craving should go for Yamaha R15 Version 3.0.